Shooting in the spring is my favorite, and when I'm photographing a girl as sweet as Jessi it is even more my favorite! 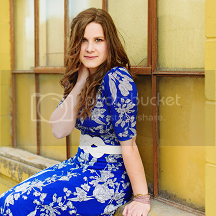 I had so much fun talking with this girl as we did photos, and she is just beautiful. And I'm so glad we caught the blooming trees in these..April for the win! Can't believe all my seniors are graduating this month!! You can go check out a little roundup HERE on my facebook page, so many awesome kids.